Heading An effective cleansing device. 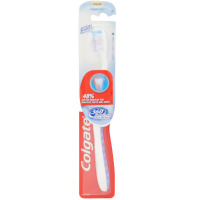 Uses Angled for easy access to back teeth, gums and hard to reach areas. Deep thumb grip for precision control and comfort. 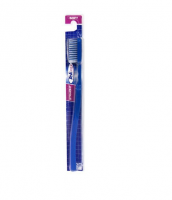 End-Rounded DuPont nylon bristles to help protect tooth enamel and gums.